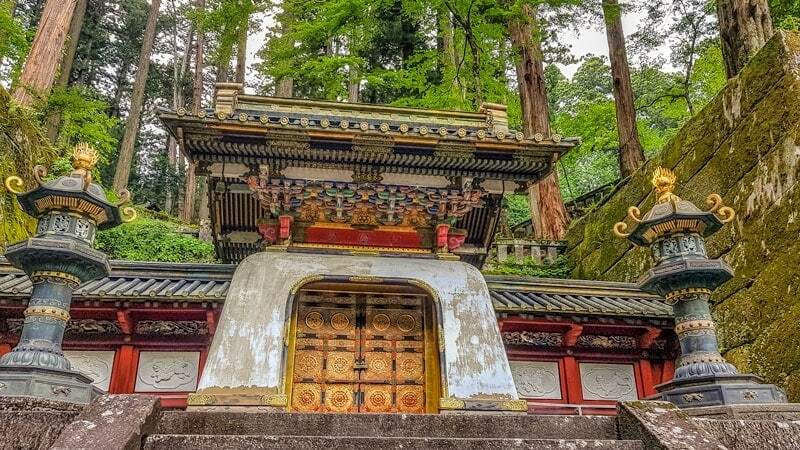 Under the canopy of the majestic old cedar trees and protection of Mount Nantai lies the town of Nikko, a popular destination for visitors from Tokyo. 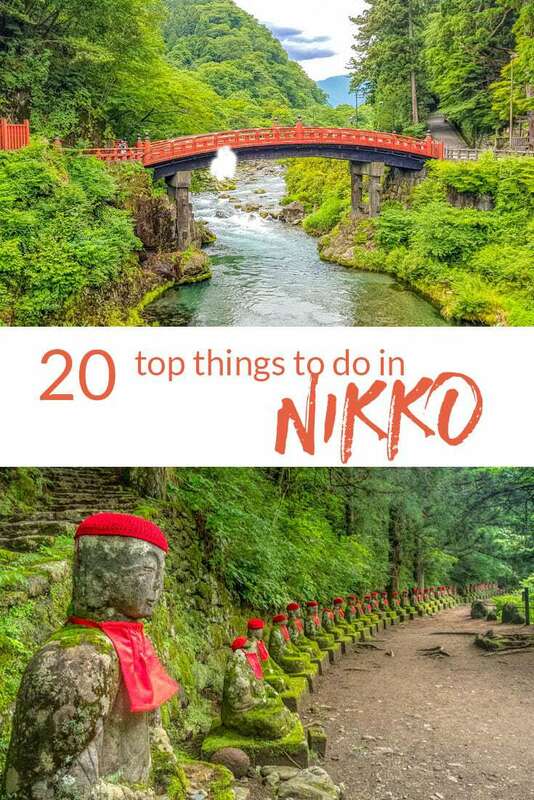 The UNESCO World Heritage Shrines and Temples draw tourists from all around the world but there’s so many more things to do in Nikko that many visitors miss out on. 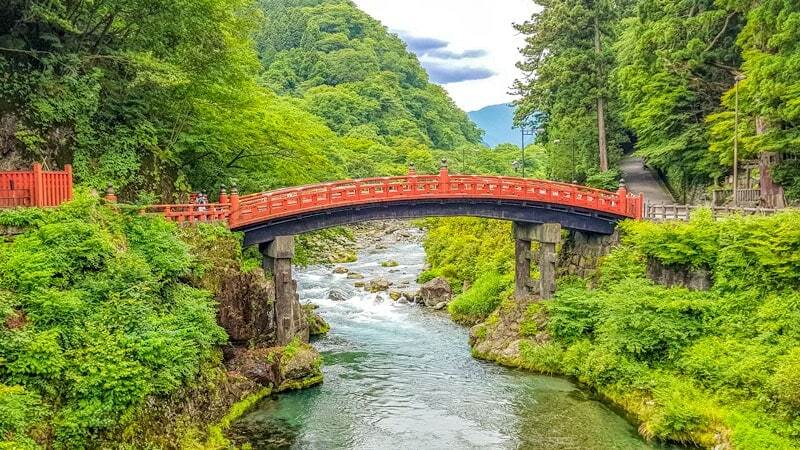 Nikko is often suggested as somewhere to go for the day and we also recommend it as one of our top 10 day trips from Tokyo but if you have a extra night or two to spend there is much more to see than you might expect. We’ve been to Nikko twice from Tokyo and both times have traveled on Tobu Railways using their Nikko Passes. The first time we were on a day trip and used the Nikko World Heritage Pass for the train and bus around the shines and temples in the Nikko township area. The pass is valid for 2 days / 1 night but can still be good value for the day trip as it is priced at a good discount to the return base train fare. 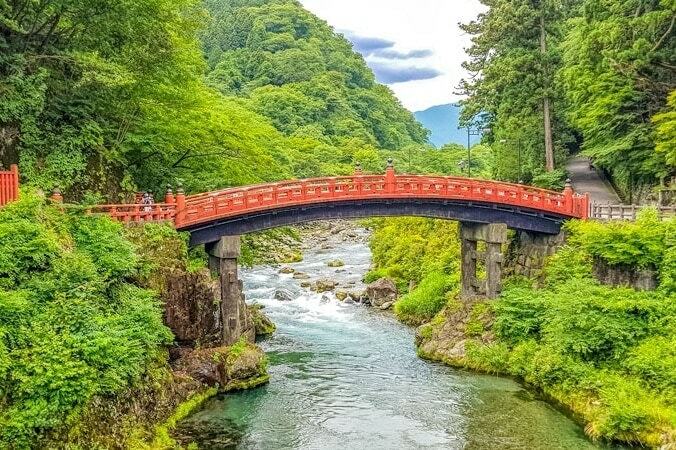 The second, more recent trip, we stayed a couple of days and used the Nikko All Areas Pass which is valid for 4 days / 3 nights and covers the return trip from Asakusa in Tokyo, bus transport in the World Heritage area and out to Oku-Nikko and Lake Chuzenji. 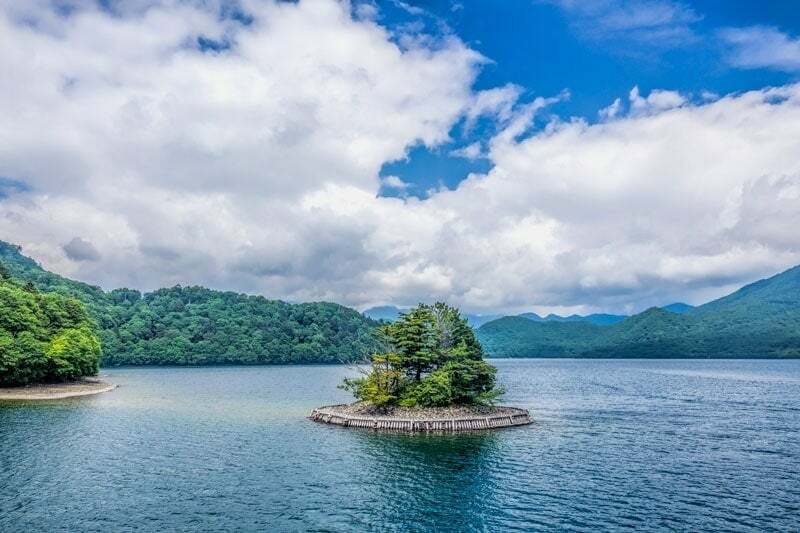 The pass also covers the Lake Chuzenji sightseeing cruise. 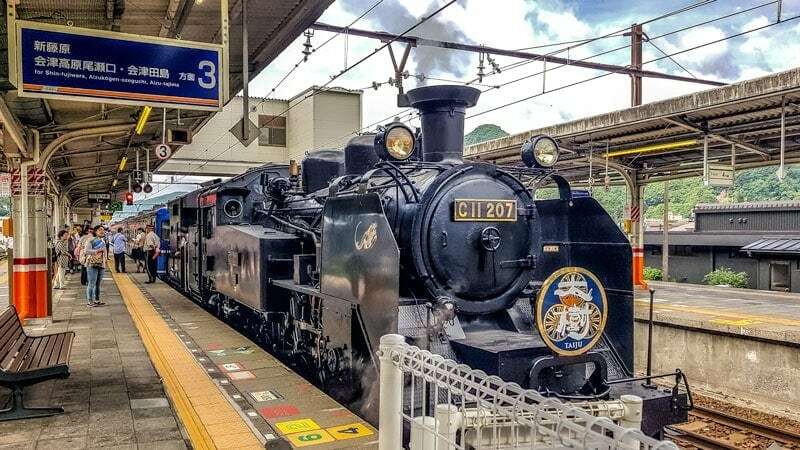 What you do need to be aware of with both passes is that you will probably want to pay a supplement fee for the limited express train from Tokyo to Nikko. This makes the trip about 2 hours, otherwise it will stop at all stations and take much longer on a local train. The supplement rate varies depending on the day but it is discounted a little with the passes so you will be getting the best value. The Tobu trains are comfortable to travel in and of a similar standard inside to the limited express and shinkansen trains you may have traveled on in other parts of Japan. There’s plenty of leg room, free WIFI for passengers on the train, a refreshment cart will come around periodically to make purchases and there’s a luggage shelf overhead. I would suggest if you have large luggage that you use a forwarding service often referred to in Japan as Takuhaibin to have it sent on to your next destination and take only smaller bags on the train as there is no luggage storage at the back of the compartment for full size cases if you aren’t able to safely lift it into overhead storage. You can arrange luggage forwarding from the airport and most hotels. If it’s going to another city it usually arrives the next day so is ideal if you’re planning to make an overnight stop with a smaller bag along the way. The Toshogu shrine is the mausoleum of the 1st Tokugawa Shogun, Tokugawa Ieyasu. It was founded in 1617 after his death but most of the building in the current complex are though to have dated back to 1636. The site is extremely opulent and well maintained with intricate detail and extensive gold lacquer work throughout. 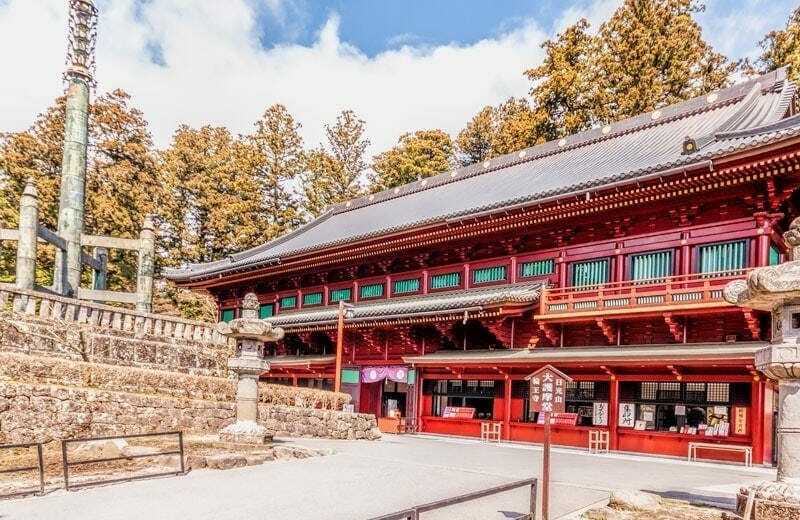 Together with the next 3 attractions it was registered as the UNESCO World Heritage Site known as the Shrines and Temple of Nikko in December 1999. Futarasan is the oldest shine in Nikko founded in 782 by Shodo Shonin, the Buddhist monk who brought Buddhism to Nikko and founded the nearby Rinnoji Temple. This shrine doesn’t exude the same luxury as the 2 neighbouring shrines but it feels as it it’s a part of the surrounding nature and the mountain whose deities it’s been dedicated to for over 1200 years. It’s well worth a visit. 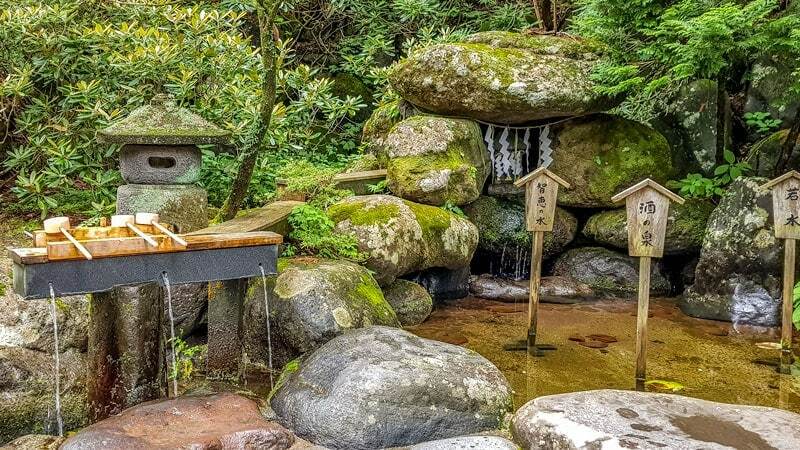 Within the shrine grounds you’ll see this pool and drinking station, it’s fed by three springs that are said to have special powers, one for wisdom, one for the energy of youth and one for eye health. Rinse your hand as you would at the chōzuya then cup your hand and drink from it before turning the ladle on its end to rinse the handle with the remaining water. The Shinkyo Bridge which is mentioned below is a short distance away but is a part of Futarasan. Taiyuinbyo is the mausoleum where Iemitsu, the 3rd Tokygawa Shogun and grandson of Ieyasu is entombed. His father the 2nd Tokugawa Shogun is buried in Tokyo not on the mountain. There are a lot of similarities between this shrine and Toshogu both in design and the finer detail. Iemitsui intended his shrine to be more restrained than Toshogu out of respect to his Grandfather but both are impressive examples of architecture from the period. 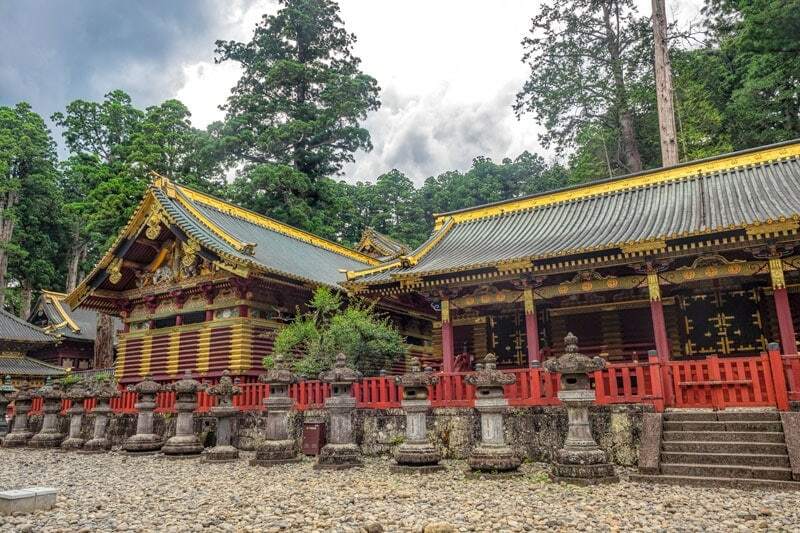 Rinnoji is the primary Buddhist temple in Nikko and was founded by the Buddhist monk Shodo Shonin in the 8th century. It’s the oldest of the shrines and temples in the area and is still a centre for Tendai-shu ascetic practice. Our first visit here was during the Buddha’s birthday celebration, celebrated on the 8th April in Japan. This photo of the temple’s main building, the Sanbutsudo, was taken on that visit as it’s currently covered while renovations take place. The restoration is expected to be complete by March 2019. Inside are 3 large wooden statues lacquered in gold representing Amida Buddha, Senju-Kannon with 1000 arms and Bato-Kannon with a horses head. These three Buddhist deities are considered to also be the deities of Nikkos 3 dominant mountains. Shinto deities representing the same mountains are enshrined at nearby Futarasan Shrine. The historic Shinkyo bridge is the first part of the UNESCO World Heritage area you come to on the way up from the railway station. It crosses the Daiya-gawa river and this particular bridge has stood here since 1636 although there was a crossing here long before that. You are able to walk across the bridge for a fee but really the view looking at the bridge rather than from the bridge is better in my opinion. 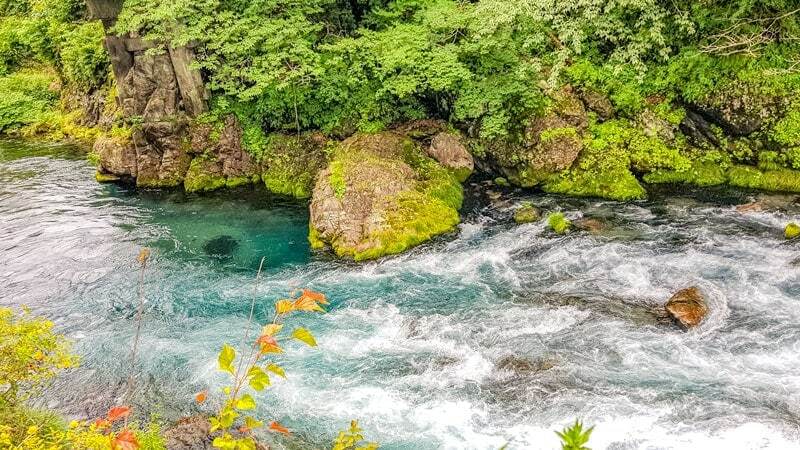 The river always seems to have a fabulous turquoise hue to it from here and is crystal clear but there is something about it that looks pretty chilly at any time of year, even the middle of summer. This is a little harder to find than other attractions in the World Heritage area of Nikko but I promise that it’s worth it. If you have a car there’s parking and a toilet block right at the entry but if like us you don’t drive in Japan it’s still quite easy to get here. You can walk from Toshogu Shrine to the start of the walking path in around 20 minutes (1.5 km). If you have Google Maps on your phone put the destination as Kanman Park, it’s right at the start of the walking path into the gorge. 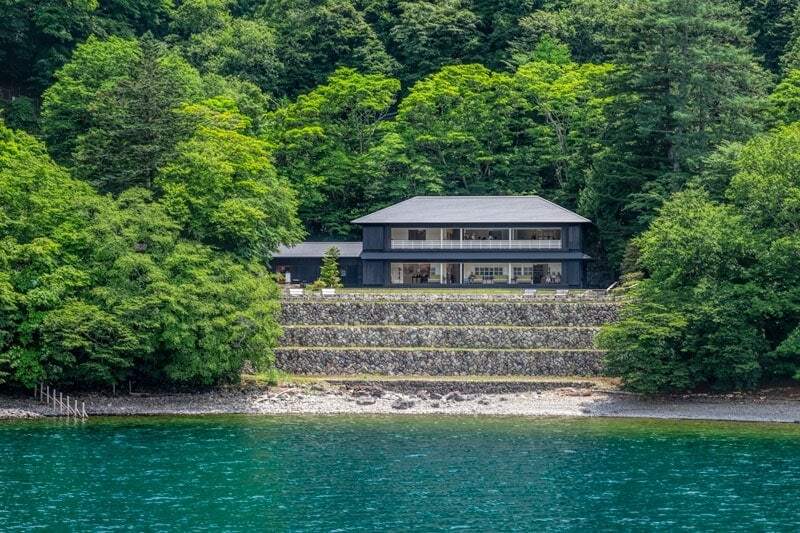 You could also take a bus that’s heading in the direction of the lake (Chuzenjiko) to the Tamozawa bus stop near the Imperial Villa then walk about 10 minutes (750 metres) through the residential area to the entry. The area is best known for the row of old Jizo statues lined up along the rustic path but the river, rolling rapids and waterfalls along the way are just as much of an attraction. It not a large area and only a short walk but it’s a very beautiful and peaceful spot. At 97 metres high Kegon falls, also known as Kegon-no -taki, are one of Japans top 3 waterfalls along with Nachi Falls in Wakayama and Fukuroda Falls in Ibaraki. 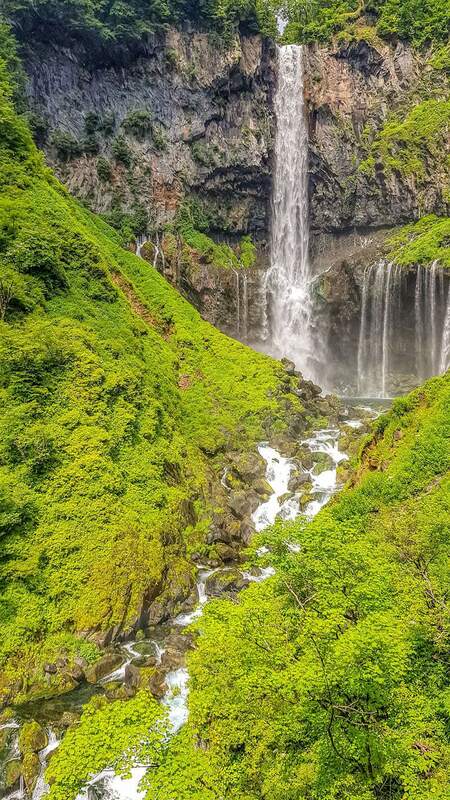 Kegon is just one of 48 waterfalls in the Nikko area and the water flows to the falls from Lake Chuzenji. Waterfalls are generally considered to be at their best in the wet season, so in summer is ideal to see them but I’ve heard that the small falls surrounding the main drop freeze in winter which would also be very impressive to see. 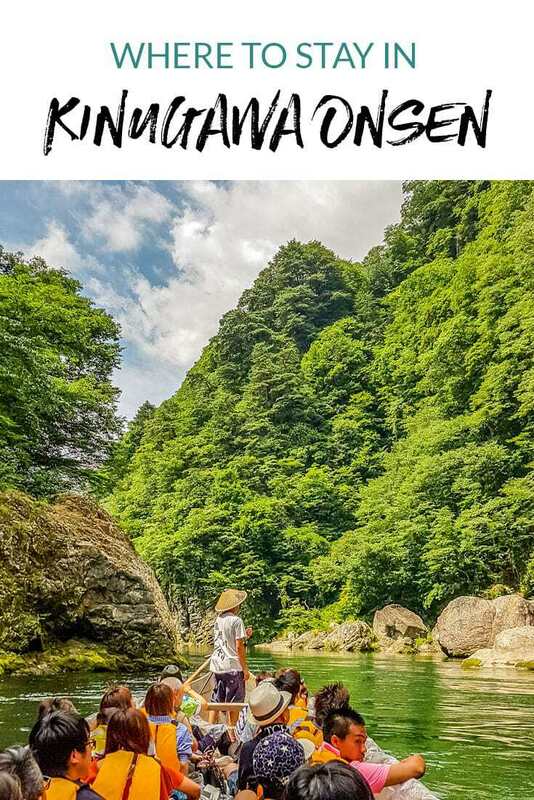 You can get to the falls using public transport by taking a bus from the Tobu Nikko station or Nikko World Heritage area headed for Chuzenji-ko which run roughly every 30 minutes. The stop you want is Chuzenji Onsen, it looks as if you’ve arrived at a large parking area but it’s a very short walk from here. There’s a ticket office at the top where you pay Y550 to use the elevator down through the bedrock (then a few stairs) to a multi-level viewing platform. While there’s a free viewing lookout from the top, do pay to go down to the paid level too, it’s definitely worth it. I’d recommend a morning view if possible especially on a bright day as the sun would be directly in your eyes behind the falls in the afternoon. 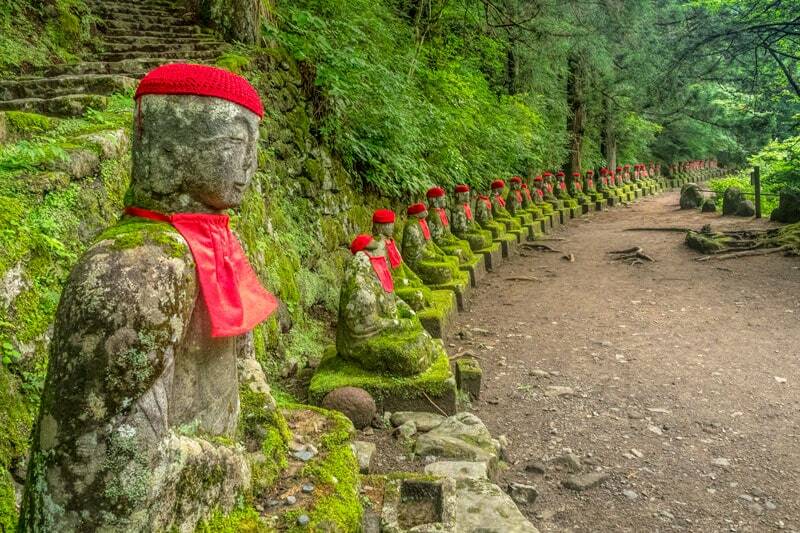 Chuzenji-ko was created 20,000 years ago when the sacred mountain, Mt Nankai, erupted. It’s not a crater lake though, it was formed when lava blocked the flow of the river below. It’s a stunning natural area with only minimal development around it’s shores. 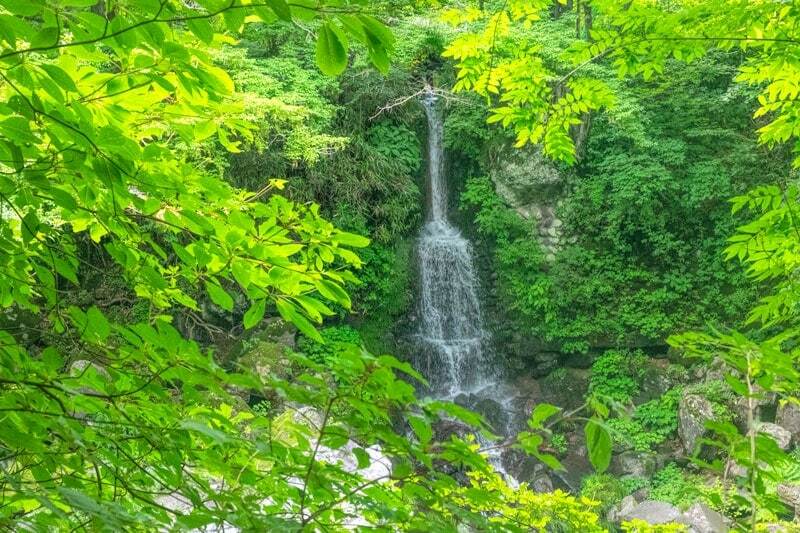 It’s bordered by Nikko National Park with Chuzenji-ko Onsen and Kegon Falls on the north-eastern side. There’s a walking track but no road around the 25 km lake circumference which is steep in parts, or you can observe it’s moody beauty from the water. 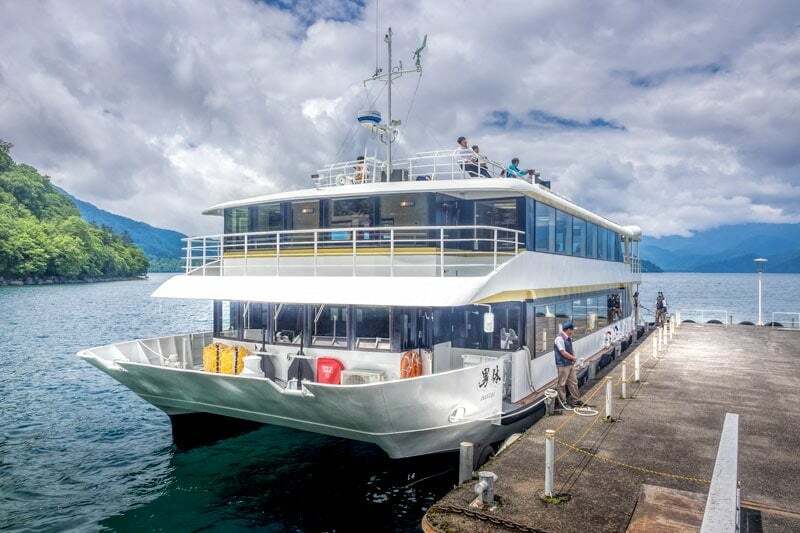 If you’ve purchased the Tobu Nikko All Areas pass then this is a great value option as the cruise is included in the ticket. The scenery is beautiful and you can get off for a look around and rejoin the next boat to complete the cruise. As mentioned above the shoreline is very natural and much of it is remote and can’t be reached by car or public transport making the cruise a great way to appreciate the scenery. Paddle boats shaped like a swan are ubiquitous on lakes all around Japan. We first sighted these throw backs to the 1970’s on the snowy shores of Lake Ashi in winter time. Since then we’ve seen them all over the country and the summer shores of Lake Chuzenji in Nikko are no exception. Despite their apparent age these little boats seem sturdy enough and they’re regularly paddled out to the peaceful tranquility of the middle of the lake by enthusiastic boyfriends on romantic dates. Have you heard of forest bathing? There’s no swimming or skinny dipping involved. The term, Shinrin-yoku in Japanese, was coined in the 1980’s and refers to the remedial and health giving benefits of simply being in nature and disconnecting temporarily from the modern world. Technically you should leave your phone behind or at least turn it off and put it in your day pack. I figure it’s somewhat similar to me referring to the Australian rainforest as my happy-place or healing-place when I’m feeling a bit down or under the weather. A day in the Lamington National Park can also heal a multitude of ills. Nikko seems to be the ideal place for a bit of forest bathing. Whether you are taking a serious hike up the mountain, a gentle stroll through the trails in the national park or simply laying out your blanket in a quiet clearing to enjoy the views. Okunikko refers to the remote areas of Nikko and includes the Lake Chuzenji area, waterfalls and national park. There are many hiking trails in the National Park suited to both the novice and more experienced hiker. 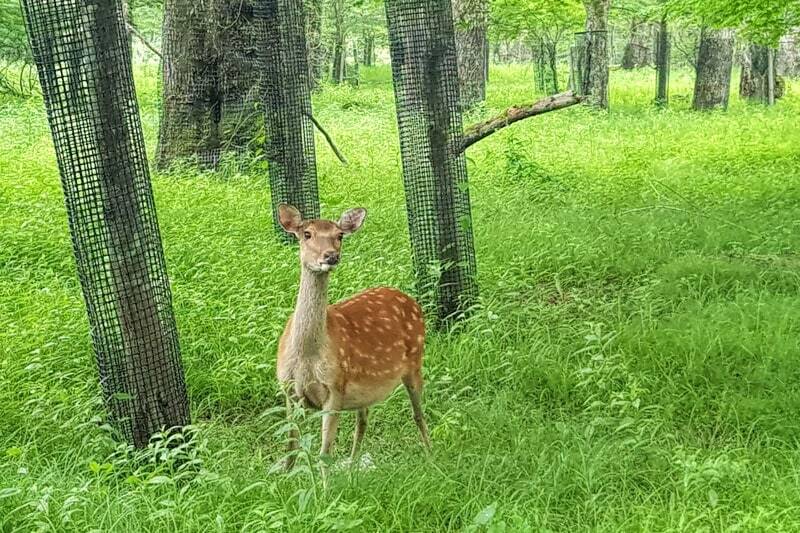 Be aware that this is a wildlife area and home to a variety of wild animals including Asian black bears, monkeys, deer and snakes. That doesn’t need to be intimidating but you do want to be prepared for the environment and know how to handle an encounter especially if venturing into more remote parts. This local website has some good information on bears. Equally importantly is using a good insect repellent and wearing long sleeves and trousers where practical. While it is rare, Japanese encephalitis is an infection of the brain transmitted by mosquito’s from wild birds and animals that are carriers, as with all mosquito born diseases the best precaution is to avoid being bitten. The Senjo-ga-hara marshland is one of the most popular walking trails in the park and takes around 3 hours to walk. It’s especially beautiful in the autumn season when both the marshland and surrounding trees turn the jewel colors of the season although we found the summer wildflowers and vibrant green was very striking too. 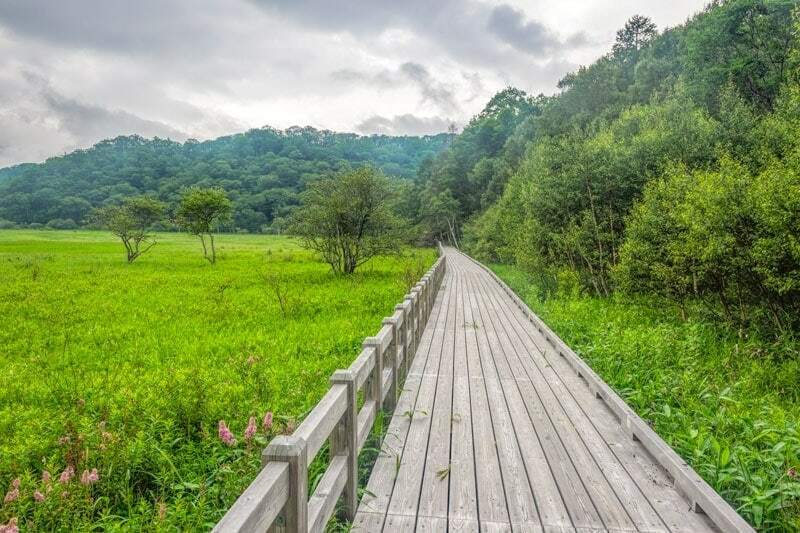 Oda Shiro-go-hara is a smaller but equally beautiful marshland nearby and the boardwalk in the early section of the walkway is pictured in the forest bathing section above. You can access these trails by public transport on the Nikko all areas pass but you need to change to an eco bus within the park itself which runs hourly from April to November. Note that in winter the marshland area will be covered with snow and not suitable for hiking. Nikko was historically a temple town and Buddhist monks enjoy a vegan diet. It is supposed that this is why Nikko got so creative with it’s soy products. Yuba is the skin that forms when you boil then cool soy milk, similar to the way it does on custard. It might not sound like the foodie discovery of the year but honestly this stuff if really delicious and versatile. I had my first taste of it in Kyoto last year but Nikko is renowned for it’s yuba so I was determined to try it here. My experience far exceeded my expectations and I’d have to recommend Zen, a small restaurant between the Tobu Nikko station and Shinkyo bridge at the entrance to the world heritage temples and shrines. 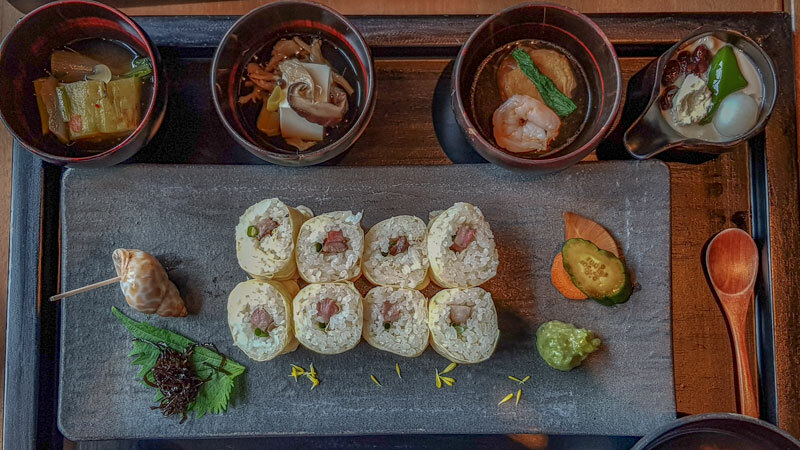 We ordered their signature lunch set for Y2000 where the delicate yuba skin is used to wrap sushi encasing succulent waghu beef in place of the more traditional seaweed wrapper. When yuba is used you still add wasabi to taste but then dip into creamy soy milk in place of the stronger flavour of soy sauce. During the course of our few days in Nikko I came across, and as a good foodie of course taste tested, yuba ice-cream, smoked yuba, crisp dried yuba and fresh folds of silky yuba as a side dish. They were all delicious and I’d highly recommend you give it a try even if it’s a little outside your usual taste. Being a volcanic country located on the ring of fire, Japan has a significant number of natural hot springs all across the country. One of the areas where these have been developed into a signficant attraction along side it’s beautiful natural scenery is Nikko. Like Hakone, another popular onsen town, Nikko is an easy distance from Tokyo for a short city escape and weekend of rejuvenation. We stayed at a the ryokan, Kinugawa Onsen Hotel with a choice of 2 indoor and 2 outdoor hot spring pools, the facilities are gender segregated and rotated from male to female throughout the day after cleaning so during the course of your stay you could soak away your worries in all 4. Taking a ride in these traditional wooden boats down the gorgeous Kinugawa River was so much fun. It’s a popular summer activity and a little tightly packed but well worth doing the half hour trip. How wild your ride gets depends on how much rain has fallen and how fast the river is flowing but even on a still summers days there’s a few splashes which are more than welcome. 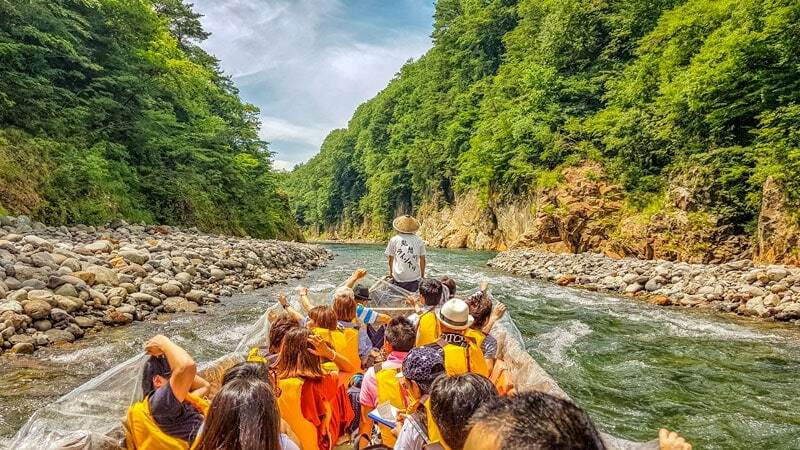 It’s a great way to experience the natural area and while the narrative on the boat is all in Japanese and appeared to have some good comedy attached that went totally over our heads there is plenty to see and it’s well worth doing. The starting point is not far from the Kinugawa train station and at the end of the river you walk up the road to catch the return shuttle. 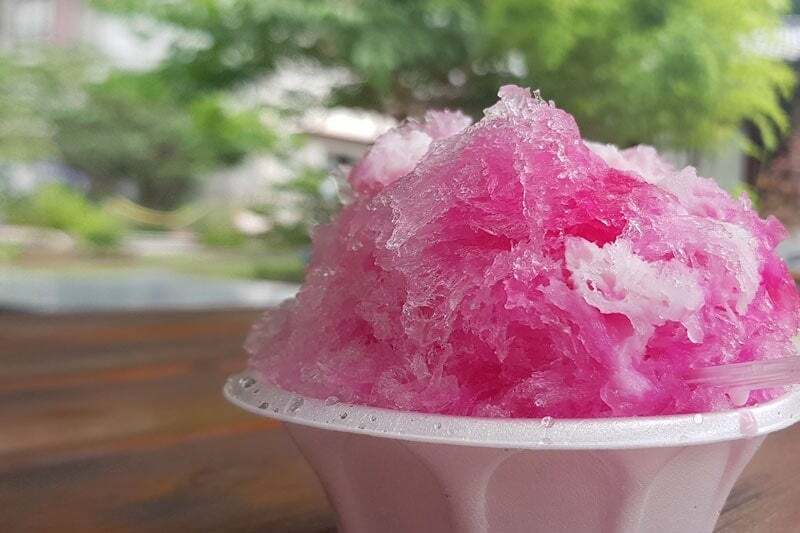 Don’t be in too much of a hurry to jump on though, that shop has the best shaved ice around! You don’t need to spend very long in Nikko to appreciate how remote, natural and pristine it is. It’s lakes and rivers are remarkably clear and fresh. For this reason Nikko is famous for produce that involves water heavily in it’s production such as sake. If you’ve spent any time in Japan in summer you’ll be familiar with shaved ice but in Nikko it’s said to be a step above. I was the first to question just how much difference there can be in ice but as we watched the operators at the small store above the Kinugawa River Boat ride take the individually wrapped block of ice made from Nikko natural mountain water and place it carefully in the shaver I was pretty much a believer. It might have been that I was absolutely parched by this point but the ice was literally soft and fluffy from being shaved so finely rather than being crushed as many icy desserts are. Topped with strawberry syrup and condensed milk it does make a light, refreshing and decadent treat for hot weather. From previous destinations I’ve covered here on the site you’re probably familiar with my love of Japanese transport both modern and heritage. Whether it’s the blindly fast shinkansen or a hanging monorail gliding slowly above the homes in Ofuna on the way to Enoshima I want to give it a go. Historically as many as 75 steam trains ran on the tracks throughout Nikko but they were finally phased out in 1966 When Tobu Railways introduced the SL Taijo back to the route between Shimoimaichi and Kinugawa-Onsen in August 2017 it was the first time a steam train had been seen here in over 50 years. It’s a 12 km section of rail and takes just over 30 minutes to complete running the return route 3 times a day. The ceremony of the old world rail travel has been well received in the relatively short time frame and when we visited in July 2018 it was expecting to receive its 200,000 passenger the next day less than a year after its launch. The scenery through this section is especially beautiful with river crossings and cedar forests beyond the train windows. I had wondered how the reintroduction of steam trains in an region revered for it’s purity and natural beauty would be received but young children and adults alike came out of their homes to wave at the train as it passed. Clearly it’s a local favourite. Staying at a good quality Japanese Inn or ryokan with a natural onsen can be a little bit of a splurge for overseas visitors, they’re generally located in tourist areas and priced higher than an equivalent standard of international hotel. To get the value from the experience you don’t want to use it only as somewhere to shower and sleep. 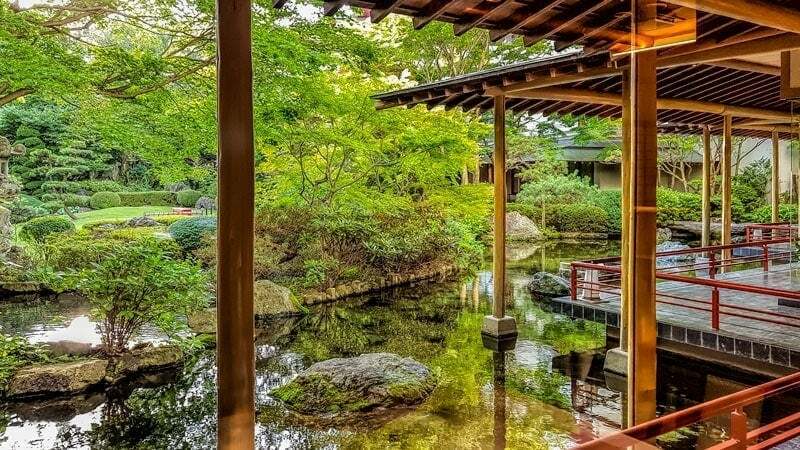 A location like Nikko can be a great opportunity to incorporate a ryokan stay into your itinerary. If you are going to stay in one and get the most from the experience you want to plan your stay like a Japanese visitor might. If your ryokan includes dinner and breakfast in the price make sure you allocate time to prepare for and really enjoy it, these Kaiseki ryori meals are usually delicious and deserve time to be fully appreciated. Dress in the provided yakata if you wish and don’t plan on racing out to start your day. 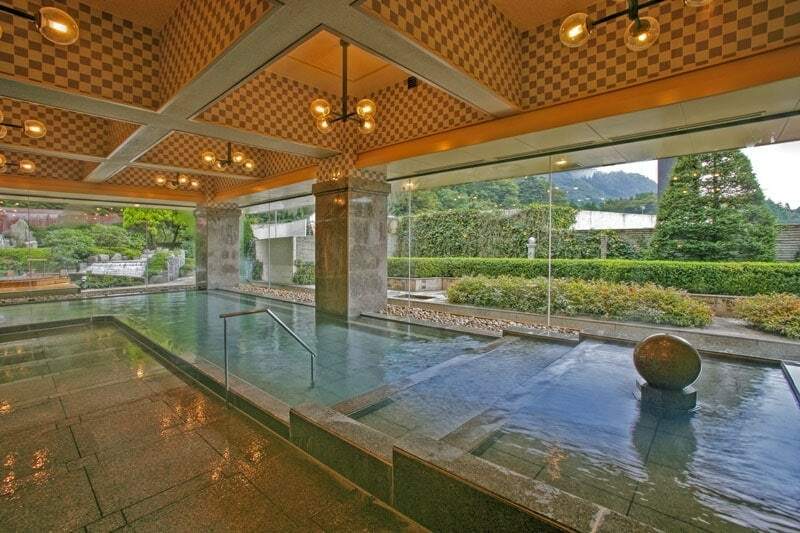 High end ryokan may also include very beautiful indoor and outdoor hot springs called onsen, a local visitor may appreciate this before dinner, after dinner and again when they get up in the morning. In following a similar routine you will get the optimal enjoyment and a unique Japanese experience from your ryokan stay. We stayed at the Kinogawa Grand Hotel and when we get back to the area I’d plan for another night or two there, it really is something special. I’ll link up a review with photos here shortly so you can take a look. An interesting fusion of east meets west is the embassy villas situated around a section of Lake Chuzenji. These weren’t the embassy itself, they were summer holiday homes for the use and enjoyment of embassy staff and their guests in the Meiji period. The 2-story British embassy house was built in 1896 by British diplomat Ernest Satow and ownership stayed with the British Embassy until 2008. It has now passed to the Japanese government to manage as a memorial park providing a glimpse into a time gone by and an opportunity for the visitor to enjoy a stunning spot on the picturesque lakefront. The Italian embassy has been retained with many of the original furnishings while the British one required more renovation and has been restored with local timber reclaimed and restored to a perfect finish. After wandering through reading the museum plaques and viewing the photography collection stop to take in the view from the veranda over the lake. This is an ideal spot to enjoy while relaxing over a Devonshire tea, the scone recipe coming directly from the British Embassy and the carrot jam a local seasonal specialty. Edo Wonderland, or Edo Mura in Japanese, is a theme park with a twist. 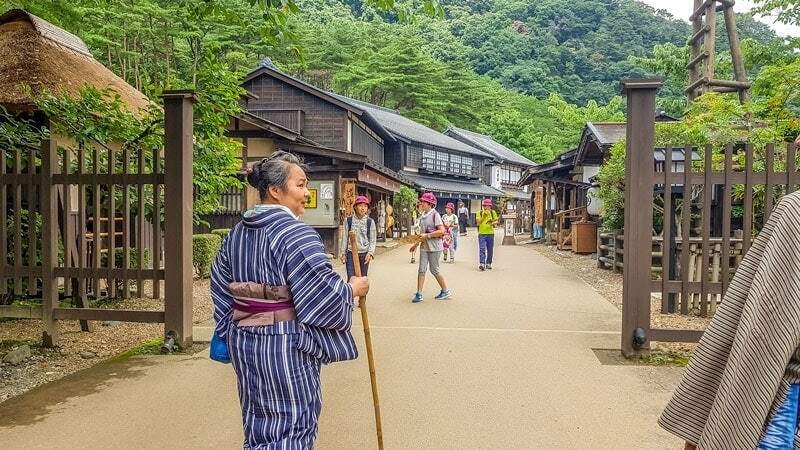 Walk the old Tokaido Road to Edo (olden day Tokyo) and discover museums, shops, restaurants and recreations of traditional style buildings along the way. Live shows transport you to the realm of the ninja, oiran or visit the water show, a traditional performance not seen anywhere else today. I believe Nikko is a destination for all seasons depending on what you like to do. Autumn is the most popular with the extensive hillsides ablaze with coloured leaves but you’ll also hit the most crowds and delays during the peak season. The koyo season is earlier here than along the Golden Route which contributes to its popularity. In summer it’s vibrant and green and a few degrees cooler than Tokyo so a lovely respite from the heat. The waterfalls and rivers also flow really well during the summer wet season. Nikko isn’t really a sakura destination and it warms up later than Tokyo and other nearby areas, there’s been residual mounds of ice from the winter snow when we were here in April but it’s less busy and there’s no reason to avoid spring time. In Winter it snows in Nikko so it can be viable day trip or short stay from Tokyo to experience snow if you don’t specifically want to head to a ski resort. In Okunikko you can try snowshoeing if you’re looking for something different, the frozen waterfall would be quite a sight and snow is really pretty. My top reason for this time of year though would have to be sitting in an onsen with snow around. Have questions? Please ask in the comments below. 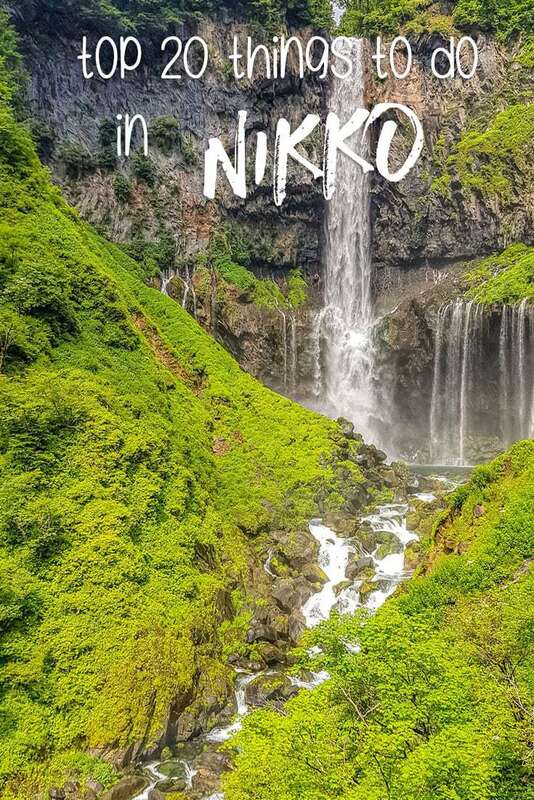 If you have suggestions of your own fave spots in Nikko please feel free to add those too. Wonderful post, very informative. This story was included as a brief update on our new Amazon Alexa skill ‘Travel Buddies’ it can be downloaded for free at Amazon. This is such a lovely place! And your photographs are amazing, you definitely have an eye for this stuff, I wish I have too!